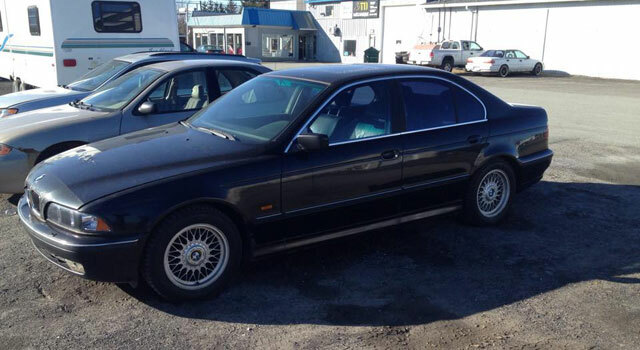 Here’s an interesting find: A 1997 BMW 540i with manual transmission being sold for only $1500. Forum member -Mike- found it on a site called Blackmarket Estrie and it’s located in Magog. Unfortunately, the vehicle is in need of about $600 in repairs before it can run. Still, though, it could represent an interesting project for an inexpensive rear-wheel drive beater with a 300 horsepower V8 engine.